you are right john cohen — quazimodo was right — mozart was right. . . . I cannot say the word eye any more . . . . when I speak this word eye, it is as if I am speaking of somebody’s eye that I faintly remember . . . . there is no eye — there is only a series of mouths — long live the mouths — your rooftop — if you don’t already know — has been demolished . . . . eye is plasma & you are right about that too — you are lucky — you don’t have to think about such things as eye & rooftops & quazimodo. If you don’t feel dead there is something wrong with you. You really are dead. This isn’t the Theartre of the Absurd, but it is the same exact technique. Everything is killed, but don’t think for a moment that communication is dead. It isn’t. It is a tremendous tool for a communication after all the rational logical controls are down and out of the way. And all I can say is that the kids that listen to this stuff and have nothing to anchor to you can’t for a moment think that they aren’t infiltrated by this. So I would not tie this very closely to the Theartre of the Absurd. The Theartre of the Absurd does smash normal communication, but it doesn’t smash communication. It throws wide open a first order experience to speak of destruction to give this vague idea of hope in other forms. Then it leads to pantheism. Highway 61 Revisited is the sixth studio album by the American singer-songwriter Bob Dylan, released by Columbia Records in August 1965. Having until then recorded mostly acoustic music, Dylan used rock musicians as his backing band on every track of the album, except for the closing 11-minute ballad, “Desolation Row.” Critics have focused on the innovative way in which Dylan combined driving, blues-based music with the subtlety of poetry to create songs that captured the political and cultural chaos of contemporary America. 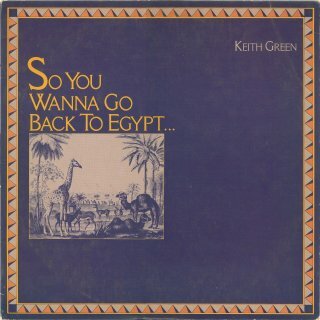 Author Michael Gray has argued that in an important sense the 1960s “started” with this album. 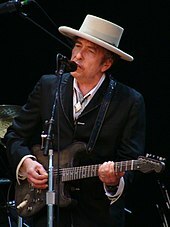 Leading with the hit single “Like a Rolling Stone,” the album features songs that Dylan has continued to perform live over his long career, including “Ballad of a Thin Man” and “Highway 61 Revisited.” He named the album after the major American highway which connected his birthplace, Duluth, Minnesota, to southern cities famed for their musical heritage, including St. Louis, Memphis, New Orleans, and the Delta blues area of Mississippi. Highway 61 Revisited peaked at number three in the United States charts and number four in the United Kingdom. The album was ranked number four on Rolling Stone‘s “500 Greatest Albums of All Time“. “Like a Rolling Stone” was a top-10 hit in several countries, and was listed at number one on Rolling Stone‘s 500 Greatest Songs of All Time list. Two other songs, “Desolation Row” and “Highway 61 Revisited,” were listed at number 187 and number 373 respectively. While he was growing up in the 1950s, Highway 61 stretched from Duluth, where Dylan was born, through St. Paul, and down to the Mississippi delta. Along the way, the route passed near the birthplaces and homes of influential musicians such as Muddy Waters, Son House, Elvis Presley, and Charley Patton. The “empress of the blues”, Bessie Smith, died after sustaining serious injuries in an automobile accident on Highway 61. Critic Mark Polizzotti points out that blues legend Robert Johnson is alleged to have sold his soul to the devil at the highway’s crossroads with Route 49. The highway had also been the subject of several blues recordings, notably Roosevelt Sykes‘ “Highway 61 Blues” (1932) and Mississippi Fred McDowell‘s “61 Highway” (1964). Highway 61 Revisited was recorded in two blocks of recording sessions that took place in Studio A of Columbia Records, located in Midtown Manhattan. The first block, June 15 and June 16, was produced by Tom Wilson and resulted in the single “Like a Rolling Stone”. On July 25, Dylan performed his controversial electric set at the Newport Folk Festival, where some of the crowd booed his performance. Four days after Newport, Dylan returned to the recording studio. From July 29 to August 4, he and his band completed recording Highway 61 Revisited, but under the supervision of a new producer, Bob Johnston. Al Kooper’s improvised organ riff on “Like a Rolling Stone” has been described as “one of the great moments of pop music serendipity”. Tom Wilson produced the initial recording sessions for Highway 61 Revisited on June 15–16, 1965. Dylan was backed by Bobby Gregg on drums, Joe Macho, Jr. on bass, Paul Griffin on piano, and Frank Owens on guitar. For lead guitar, the singer recruited Michael Bloomfield of the Paul Butterfield Blues Band. The musicians began the June 15 session by recording a fast version of “It Takes a Lot to Laugh, It Takes a Train to Cry” and the song “Sitting on a Barbed Wire Fence”, which was omitted from the Highway 61 album. Dylan and his band next attempted to record “Like a Rolling Stone”; at this early stage, Dylan’s piano dominated the backing, which was in 3/4 time. “Barbed Wire Fence”, the fast version of “It Takes a Lot to Laugh”, and an early take of “Like a Rolling Stone” were eventually released on The Bootleg Series Volumes 1–3 (Rare & Unreleased) 1961–1991. The musicians returned to Studio A the following day, when they devoted almost the entire session to recording “Like a Rolling Stone”. Present on this occasion was Al Kooper, a young musician invited by Wilson to observe, but who wanted to play on the session. Kooper managed to sit in on the session, and he improvised an organ riff that, critics Greil Marcus and Mark Polizzotti argue, became a crucial element of the recording. The fourth take was ultimately selected as the master, but Dylan and the band recorded eleven more takes. After “Like a Rolling Stone” had been completed, he improvised a short unreleased song, bootlegged under the title “Lunatic Princess Revisited”, but copyrighted as “Why Do You Have to Be So Frantic?”. Critic Clinton Heylin calls the song a “weird little one-verse fragment”, but claims that the riff is the blueprint of the singer’s 1979 evangelical composition, “Slow Train”. Their first session together was devoted to three songs. After recording several takes each of “Tombstone Blues“, “It Takes a Lot to Laugh” and “Positively 4th Street“, masters were successfully recorded. “Tombstone Blues” and “It Takes a Lot to Laugh” were included in the final album, but “Positively 4th Street” was issued as a single-only release. At the close of the July 29 session, Dylan attempted to record “Desolation Row”, accompanied by Al Kooper on electric guitar and Harvey Brooks on bass. There was no drummer, as the drummer had gone home. This electric version was eventually released in 2005, on The Bootleg Series Vol. 7. After Dylan and Kooper spent the weekend in Woodstock writing chord charts for the songs, sessions resumed at Studio A on August 2. “Highway 61 Revisited”, “Just Like Tom Thumb’s Blues“, “Queen Jane Approximately“, and “Ballad of a Thin Man” were recorded successfully and masters were selected for the album. In 2004, Rolling Stone magazine declared “Like a Rolling Stone” to be “the greatest song of all time”, and noted “the impressionist voltage of Dylan’s language, the intensely personal accusation in his voice (‘Ho-o-o-ow does it fe-e-e-el?’)” and “the apocalyptic charge of Kooper’s garage-gospel organ”. Highway 61 Revisited opens with “Like a Rolling Stone”, which has been described as revolutionary in its combination of electric guitar licks, organ chords, and Dylan’s voice, “at once so young and so snarling … and so cynical”. Michael Gray characterized “Like a Rolling Stone” as “a chaotic amalgam of blues, impressionism, allegory, and an intense directness: ‘How does it feel? '” Polizzotti writes that the composition is notable for avoiding traditional themes of popular music, such as romance, and instead expresses resentment and a yearning for revenge. It has been suggested that Miss Lonely, the song’s central character, is based on Edie Sedgwick, a socialite and actress in the Factory scene of pop artist Andy Warhol. Critic Mike Marqusee has written that this composition is “surely a Dylan cameo”, and that its full poignancy becomes apparent upon the realization that “it is sung, at least in part, to the singer himself: he’s the one ‘with no direction home’.” “Like A Rolling Stone” reached number two in the Billboard Hot 100 in the summer of 1965, and was a top-10 hit in Australia, Canada, the Netherlands, New Zealand, and the United Kingdom. The fast-paced blues song “Tombstone Blues”, driven by Michael Bloomfield’s lead guitar, uses a parade of historical characters—outlaw Belle Starr, biblical temptress Delilah, Jack the Ripper (represented in this song as a successful businessman), John the Baptist (described here as a torturer), and blues singer Ma Rainey whom Dylan humorously suggests shared a sleeping bag with composer Beethoven—to sketch an absurdist account of contemporary America. For critics Mark Polizzotti and Andy Gill, the reality behind the song is the then-escalating Vietnam War; both writers hear the “king of the Philistines” who sends his slaves “out to the jungle” as a reference to President Lyndon B. Johnson. According to critic Andy Gill, “It Takes A Lot To Laugh” illustrates Dylan’s creativity, both in the way it adapts an old blues song, and in the way Dylan recorded two radically different versions of the song: the first, fast and guitar-driven; in his second version, released on Highway 61, Dylan transformed the song into a “slow, loping, piano-based blues”. On July 29, 1965, Dylan and his band resumed recording “It Takes a Lot to Laugh, It Takes a Train to Cry”. Tony Glover, who observed the recording session, has recalled that Dylan re-worked on the song at the piano while the other musicians took a lunch break. Critic Sean Egan writes that by slowing down the tempo, Dylan transformed the song from an “insufferably smart-alec number into a slow, tender, sensual anthem”. Gill points out that the lyrics reveal the singer’s talent for borrowing from old blues numbers, adapting the lines “Don’t the clouds look lonesome shining across the sea/ Don’t my gal look good when she’s coming after me” from “Solid Road” by bluesmen Brownie McGhee and Leroy Carr. Allmusic critic Bill Janovitz describes “From a Buick 6” as a “raucous, up-tempo blues”, which is played “almost recklessly”. The song opens with a snare shot similar to the beginning of “Like a Rolling Stone”. Partially based on Sleepy John Estes‘ 1930 song “Milk Cow Blues“, the guitar part is patterned after older blues riffs by Robert Johnson, Charlie Patton and Big Joe Williams. Robert Shelton hears the song as “an earthy tribute to another funky earth-mother”, while for Heylin it is close to filler material; he argues that only through the musicians’ performance is Dylan able to “convince us he is doing more than just listing the number of ways in which this ‘graveyard woman’ is both a lifesaver and a death-giver”. 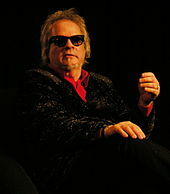 “Ballad of a Thin Man” is driven by Dylan’s piano, which contrasts with “the spooky organ riffs” played by Al Kooper. Marqusee describes the song as one of “the purest songs of protest ever sung”, as it looks at the media and its inability to understand both the singer and his work. He writes that the song became the anthem of an in-group, “disgusted by the old, excited by the new … elated by their discovery of others who shared their feelings”, with its refrain “Something is happening here/ But you don’t know what it is/ Do you, Mr Jones?” epitomizing the “hip exclusivity” of the burgeoning counterculture. Robert Shelton describes the song’s central character, Mr Jones, as “one of Dylan’s greatest archetypes”, characterizing him as “a Philistine … superficially educated and well bred but not very smart about the things that count”. Polizzotti, in his study of Highway 61 Revisited, writes that the opening track of Side Two, “Queen Jane Approximately” is in a similar vein to “Like a Rolling Stone”, but the song offers “a touch of sympathy and even comfort in place of relentless mockery”. The song is structured as a series of ABAB quatrain verses, with each verse followed by a chorus that is simply a repeat of the last line of each verse: “Won’t you come see me Queen Jane?”. Gill calls this song “the least interesting track” on Highway 61, but praises the piano ascending the scale during the harmonica break as an evocation of “the stifling nature of an upper class existence”. “Queen Jane Approximately” was released as the B-side of Dylan’s “One of Us Must Know (Sooner or Later)” single in early 1966. Dylan commences the title song of his album, “Highway 61 Revisited”, with the words “Oh God said to Abraham, ‘Kill me a son’/Abe says, ‘Man, you must be puttin’ me on'”. 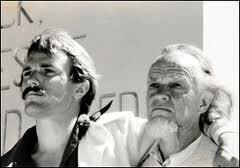 As Gill has pointed out, Abraham was the name of Dylan’s father, which makes the singer the son whom God wants killed. Gill comments that it is befitting that this song, celebrating a highway central to the history of the blues, is a “raucous blues boogie”. He notes that the scope of the song broadens to make the highway a road of endless possibilities, peopled by dubious characters and culminating in a promoter who “seriously considers staging World War III out on Highway 61”. The song is punctuated by the sound of a police siren. (On the album cover, Dylan is credited with playing “Police Car”.) Highway 61 Revisited” was released as the B-side of his “Can You Please Crawl Out Your Window?” single on November 30, 1965. “Just Like Tom Thumb’s Blues” has six verses and no chorus. The lyrics describe a nightmarish experience in Juarez, Mexico, where, in Shelton’s words, “our anti-hero stumbles amid sickness, despair, whores and saints.” He battles with corrupt authorities, alcohol and drugs before resolving to return to New York City. In this song, critics have heard literary references to Malcolm Lowry‘s Under the Volcano, Edgar Allan Poe‘s “The Murders in the Rue Morgue” and Jack Kerouac‘s Desolation Angels. The backing musicians, Bobby Gregg on drums, Mike Bloomfield on electric guitar, and two pianists, Paul Griffin on tack piano and Al Kooper on Hohner Pianet, produce a mood that, for Gill, perfectly complements the “enervated tone” of the lyrics. Heylin notes that Dylan took great care—sixteen takes—to get the effect he was after, with lyrics that subtly “[skirt] the edge of reason”. Featuring a “courtly, flamenco-tinged guitar backing”, it has been suggested that in “Desolation Row”, Dylan combined the cultural chaos of mid-1960s America with sepia-tinged TV westerns he remembered from his youth, such as Rawhide and Gunsmoke. Dylan concludes Highway 61 Revisited with the sole acoustic exception to his rock album. Gill has characterized “Desolation Row” as “an 11-minute epic of entropy, which takes the form of a Fellini-esque parade of grotesques and oddities featuring a huge cast of iconic characters”. These include historical celebrities such as Einstein and Nero, the biblical characters Noah and Cain and Abel, the Shakespearian figures of Ophelia and Romeo, ending with literary titans T.S. Eliot and Ezra Pound. The song opens with a report that “they’re selling postcards of the hanging”, and adds “the circus is in town”. Polizzotti connects this song with the lynching of three black circus workers in Duluth, Minnesota, which was Dylan’s birthplace, and describes “Desolation Row” as a cowboy song, “the ‘Home On The Range’ of the frightening territory that was mid-sixties America”. In the penultimate verse, the passengers on the Titanic are shouting “Which side are you on?”. Shelton suggests Dylan is asking, “What difference which side you’re on if you’re sailing on the Titanic?” and is thus satirizing “simpleminded political commitment”. Eleven outtakes from the Highway 61 Revisited sessions have subsequently been released on the Columbia and Legacy record labels. The first proper non-album release from the sessions was the single “Positively 4th Street”, although on an early pressing of the single Columbia used another Highway 61 outtake, “Can You Please Crawl Out Your Window?”, by mistake. “Crawl Out Your Window” was subsequently re-recorded with the Hawks in October, and released as a single in November 1965. Columbia accidentally released an alternate take of “From a Buick 6” on an early pressing of Highway 61 Revisited, and this version continued to appear on the Japanese release for several years. Other officially released outtakes include alternate takes of “Like a Rolling Stone” and “It Takes a Lot to Laugh, It Takes a Train to Cry”, and a previously unreleased song, “Sitting on a Barbed Wire Fence”, on The Bootleg Series Volumes 1–3 (Rare & Unreleased) 1961–1991. Alternate takes of “Desolation Row”, “Highway 61 Revisited”, “Just Like Tom Thumb’s Blues”, “Tombstone Blues” and a still different take of “It Takes a Lot to Laugh, It Takes a Train to Cry” were released on The Bootleg Series Volume 7. Excerpts from several different takes of “Like a Rolling Stone” appeared on the Highway 61 Interactive CD-ROM, released in February 1995. Several other alternate takes of various songs were recorded during the Highway 61 sessions but remain unreleased, as does the composition “Why Do You Have to Be So Frantic?”. As he had on his previous three albums, Dylan contributed his own writing to the back cover of Highway 61 Revisited, in the shape of freeform, surrealist prose: “On the slow train time does not interfere & at the Arabian crossing waits White Heap, the man from the newspaper & behind him the hundred inevitable made of solid rock & stone.” One critic has pointed out the close similarity of these notes to the stream of consciousness, experimental novel Tarantula, which Dylan was writing during 1965 and 1966. In September 1965, the US trade journal Billboard also praised the album, and predicted big sales for it: “Based upon his singles hit ‘Like a Rolling Stone’, Dylan has a top-of-the-chart-winner in this package of his off-beat, commercial material.” The album peaked at number three on the US Billboard 200 chart of top albums, and number four on the UK albums charts. In the US, Highway 61 was certificated as a gold record in August 1967, and platinum in August 1997. Among Dylan’s contemporaries, Phil Ochs was impressed by Highway 61, explaining: “It’s the kind of music that plants a seed in your mind and then you have to hear it several times. And as you go over it you start to hear more and more things. He’s done something that’s left the whole field ridiculously in the back of him.” In 2003, Rolling Stone magazine described Highway 61 as “one of those albums that changed everything”, and placed it at number four in its list of “The 500 Greatest Albums of All Time“. The Rolling Stone list of “The 500 Greatest Songs of All Time” ranked “Highway 61 Revisited”, “Desolation Row” and “Like a Rolling Stone” at number 373, number 187, and number one, respectively. In 2012, The Best 100 Albums of All Time book ranked Highway 61 Revisited as the greatest album of all time. Having toured continuously since the inception of his Never Ending Tour in June 1988, Dylan has performed “Like a Rolling Stone” more than 2,000 times in concert. Most of the songs on Highway 61 Revisited have remained important, in varying degrees, to Dylan’s live performances since 1965. According to his website, he has played “Like a Rolling Stone” over 2,000 times, “Highway 61 Revisited” more than 1,700 times, “Ballad of a Thin Man” over 1,000 times, and most of the other songs between 150 and 500 times. 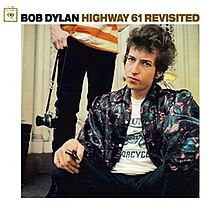 The influence of the songs on Highway 61 Revisited can be heard in many cover versions. “Like a Rolling Stone” has been recorded by artists including the Rolling Stones, on their live album Stripped, David Bowie and Mick Ronson on Heaven and Hull, Johnny Winter on Raisin’ Cane, and Jimi Hendrix at the Monterey Pop Festival. My Chemical Romance‘s version of “Desolation Row” was featured in the film Watchmen in 2009. The song has also been covered by the Grateful Dead on their album Postcards of the Hanging. “Just Like Tom Thumb’s Blues” has been recorded by Linda Ronstadt, Nina Simone and Neil Young. Episode #099: Filmed at her home and studio in New Mexico, artist Susan Rothenberg explains how she transforms personal experiences and feelings into works that can become an “emotional moment” for the viewer. While discussing the loss of her dog, Rothenberg describes the process of recovering a memory of her pet through the act of painting. Susan Rothenberg’s early work—large acrylic, figurative paintings—came to prominence in the 1970s New York art world, a time and place almost completely dominated and defined by Minimalist aesthetics and theories. The first body of work for which she became known centered on life-sized images of horses. Glyph-like and iconic, these images are not so much abstracted as pared down to their most essential elements. The horses, along with fragmented body parts (heads, eyes, and hands) are almost totemic, like primitive symbols, and serve as formal elements through which Rothenberg investigated the meaning, mechanics, and essence of painting. Rothenbergs paintings since the 1990s reflect her move from New York to New Mexico, her adoption of oil painting, and her new-found interest in using the memory of observed and experienced events (a riding accident, a near-fatal bee sting, walking the dog, a game of poker or dominoes) as an armature for creating a painting. These scenes excerpted from daily life, whether highlighting an untoward event or a moment of remembrance, come to life through Rothenbergs thickly layered and nervous brushwork. A distinctive characteristic of these paintings is a tilted perspective in which the vantage point is located high above the ground. A common experience in the New Mexico landscape, this unexpected perspective invests the work with an eerily objective psychological edge. Episode #105: Susan Rothenberg describes the blend of studio time and ranch work that she shares with her husband, the artist Bruce Nauman, at their New Mexico home. VIDEO | Producer: Wesley Miller & Nick Ravich. Interview: Susan Sollins. Camera: Robert Elfstrom & Dyanna Taylor. Sound: Jim Gallup & Ray Day. Editor: Paulo Padilha. Artwork Courtesy: Bruce Nauman & Susan Rothenberg. Special Thanks: Bruce Nauman. Sperone Westwater is pleased to announce an exhibition of ten new paintings by Susan Rothenberg. In these new works on canvas, Rothenberg has created compositions with fragmented images of the body. Acting as surrogates for the human form, Rothenberg uses these disembodied puppet legs, heads and arms to demonstrate how the representation of the figure can be transformed into a study of space and form. Unlike other recent paintings in which much of the imagery was drawn from Rothenberg’s physical surroundings in the New Mexico desert, this new group of work uses the body as its primary subject. This series is the latest example of Rothenberg’s longtime ability to challenge and extend painterly conventions in her distinctive way of organizing pictorial space and her exploration of light, color, form and movement. 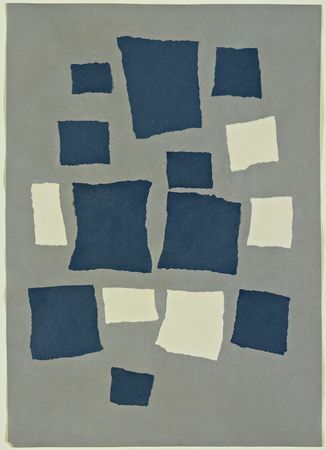 In these paintings, boldly colored shapes are juxtaposed against a textured and heavily worked white/grey/putty background – a technique that can be traced back to Rothenberg’s radical Horse Paintings of the 1970s. Although the shapes of body parts represented in these new paintings are familiar, all sense of narrative is lost by their dispersion across the picture plane and the composition as a whole becomes abstract. 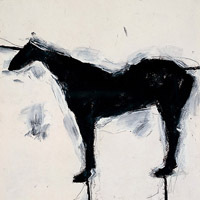 Rothenberg’s first solo exhibition in New York in 1975, consisting of three large-scale painting of horses, was heralded for introducing imagery into minimalist abstraction and bringing a new sensitivity to figuration. Peter Schjeldahl called the show “a eureka,” stating that “the large format of the pictures was a gesture of ambition” and that “the mere reference to something really existing was astonishing.” Since then, Rothenberg has had numerous solo exhibitions and her work has been exhibited extensively throughout the United States and abroad. Her work is in the collections of over forty major public institutions worldwide. Recent important exhibitions include a retrospective at the Albright-Knox Art Gallery in Buffalo, New York that traveled to Washington, D.C., St. Louis, Chicago, and Seattle (1992); a retrospective at the Museo de Arte Contemporáneo in Monterrey, Mexico (1996); a show of paintings from the nineties at The Museum of Fine Arts, Boston (1999), and an exhibition of drawings and prints at the Museum of Art at Cornell University that traveled to The Contemporary Museum in Honolulu, and the Museum of Fine Arts, Santa Fe (1998-99). Forthcoming important exhibitions for Rothenberg include a group show titled “Paint Made Flesh” at the Frist Art Center in Nashville, Tennessee from 23 January – 10 May 2009, and a solo survey of twenty-five paintings presented by the Modern Art Museum of Fort Worth and the Georgia O’Keeffe Museum in Santa Fe, New Mexico. “Susan Rothenberg: Moving in Place” will open at the Modern Art Museum of Fort Worth (15 October 2009 – 4 January 2010), and travel to the Georgia O’Keeffe Museum in Santa Fe, New Mexico (22 January – 16 May 2010), The Phillips Collection in Washington D.C. (15 June – 30 September 2010), and the Miami Art Museum (15 October 2010 – 9 January 2011). A catalogue with full-page color reproductions accompanies the exhibition. For more information as well as photographic images, please contact Maryse Brand at Sperone Westwater at (212) 999-7337, ormaryse@speronewestwater.com. Susan Rothenberg (born 1945) is a contemporary painter who lives and works in New Mexico, USA. Rothenberg was born in Buffalo, New York, in 1945. After graduating from Cornell University, she had her first solo exhibition: three large horse paintings, at 112 Greene Street Gallery, in 1975. Since the mid-1970s, Rothenberg has been recognized as one of the most innovative and independent artists of the contemporary period; in 2010, New York Times art critic David Belcher wrote that comparisons between Rothenberg and Georgia O’Keeffe had “become hard to avoid.” From her early years in SoHo through her move to New Mexico’s desert landscape, Rothenberg has remained as influenced and challenged by her physical surroundings as she is by artistic issues and personal experiences. In addition to her earliest horse paintings, Rothenberg has taken on numerous forms as subject matter, such as dancing figures, heads and bodies, animals, and atmospheric landscapes. Rothenberg’s visceral canvases have continued to evolve, as she explores the boundary between figural representation and abstraction; her work also examines the role of color and light, and the translation of her personal experience to a painterly surface. Rothenberg has had numerous solo exhibitions throughout the United States and abroad. Her first major survey, initiated by the Los Angeles County Museum of Art, traveled to the San Francisco Museum of Modern Art, the Carnegie Institute, and the Tate Gallery, London, among other institutions (1983–1985). Recent exhibitions include a retrospective organized by Albright-Knox Art Gallery in Buffalo (1992–1994), which traveled to Washington, D.C., St. Louis, Chicago, and Seattle (1992); a retrospective at the Museo de Arte Contemporáneo in Monterrey, Mexico (1996); a survey of prints and drawings presented by the Herbert F. Johnson Museum of Art, Cornell University (1998); and Susan Rothenberg: Paintings from the Nineties at The Museum of Fine Arts, Boston (1999). 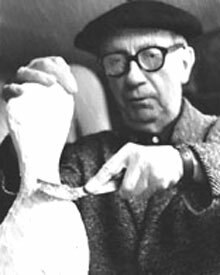 Rothenberg has been the recipient of the National Endowment for the Arts Fellowship Grant (1979), the Cornell University Alumni Award (1998), the Skowhegan Medal for Painting (1998), and Sweden’s Rolf Schock Prize (2003). Rothenberg married the artist Bruce Nauman in 1989. 1983–1985 “Susan Rothenberg,” Los Angeles County Museum of Art, California, 1 September – 16 October; San Francisco Museum of Art, California, 10 November – 25 December; Museum of Art, Carnegie Institute, Pittsburgh, 18 January – 18 March 1984; Institute of Contemporary Art, Boston, 10 April – 3 June; Aspen Center for the Visual Arts, Colorado, 1 July – 19 August; Detroit Institute of Arts, Michigan, 9 September – 21 October; Tate Gallery, London, 21 November – 20 January 1985; Virginia Museum of Fine Arts, Richmond, 26 February – 27 March (catalogue); “Currents,” ICA, Boston, April. Jump up ^ David Belcher, “Another Painter in O’Keefe Territory,” The New York Times, 8 April 2010. Harry N. Abrams, Inc., published a major monograph on Rothenberg written by Joan Simon (Simon, Joan, Susan Rothenberg, New York: Harry N. Abrams, Inc., 1991). « Is the SEC the best football conference in 2014?